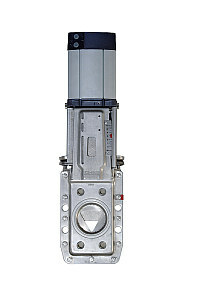 LOHSE COMPACT-gate valves have proved their value and reliability in all branches of ins paper and chemical industries. CNA-valves are regulating-type valves. The type is suitable for regulation of stock and aggressive media. LOHSE COMPACT-gate valves with seals, suitable for food, are widely used as regulating valves for viscous and glutionous media as for instance in salt works, sugar mills, wine making industry, breweries etc.